Greetings, fellow romance lovers, and thanks so much to Stella’s Ex Libris for having me here today. I’m celebrating the release of my debut novel, Triple Threat, which came out in paperback on September 16 and just yesterday in e-book. The title has a double meaning: tall, dark and devastating action film star Nick Damone is definitely a threat to budding playwright Holly Nelson, body, heart and soul. But “triple threat” is also a theater term meaning someone who excels equally at singing, acting and dancing. Appropriate, as much of the book’s plot revolves around the production of Holly’s newest play – with Nick as its star. The theater world is one I know well. I was bitten by the acting bug at age ten and have been performing in school and community productions ever since. I got a whole new perspective on the business when my daughter started acting professionally at age ten, eventually traveling the United States playing a lead role in a Broadway national tour. 1. 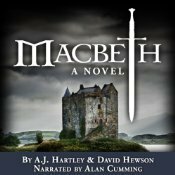 The Scottish play (Macbeth) – This superstition has a few alleged origins. Some say that Shakespeare got the witches’ chants in the play from real witches, who were less than pleased with how they were portrayed and cursed the show. Others say it’s just because there’s so much violence in the play it’s easy for something to go wrong. Whatever the source, if you say “Macbeth” in a theater, the only way to reverse the curse is by going outside the theater, spitting and turning around three times before begging to be let back in. 2. Break a leg – The worst thing you can do is say “good luck” to an actor right before a show. So instead, theater folk say, “Break a leg.” The most popular explanation for this superstition is that, in Shakespearean times, stages were supported on thin wooden legs. A spectacular performance would cause such a tremendous ruckus that a leg would break. Another possible origin involves the 1865 assassination of Abraham Lincoln. When John Wilkes Booth, the actor turned assassin, leapt to the stage of Ford’s Theater after the murder, he broke his leg. There’s no proof of a connection between this event and the substitution of “break a leg” for “good luck,” but it sure makes for a good story. 3. Ghost light – It seems like practically every theater has a resident ghost. The ghost light is a light that is left onstage, always on, to ward off any ghosts lurking after hours. 4. Bad dress….good show! – Lousy dress rehearsals aren’t uncommon, especially because it’s often the cast’s first real chance to run through the show. My worse dress rehearsal was for a production of Oklahoma! There was a point in a musical number where one cast member was supposed to point a gun at another (playing my father) and say, “Sing it, Andrew.” We were using cap guns, and she pointed it at him and accidentally pulled the trigger, “shooting” him with a loud popping sound. The poor actor who was “shot” didn’t know how to react, and the rest of us burst into hysterical laughter, stopping the show. Our director said it was the worst dress rehearsal she’d ever seen, but opening night was fantastic. 5. Whistling – Whistling on or off stage is considered bad luck. This is probably because, before the invention of walkie-talkies and intercom systems, the crew coordinated their actions using whistle signals. If someone whistled onstage, it could be misinterpreted as a cue for the stage crew, creating havoc. Whistling isn’t the only thing that’s bad luck on stage. Wearing the colors blue and yellow will make actors forget lines. Wearing green is unlucky. Peacock feathers inside a theater are bad news. No real flowers, mirrors or jewelry should ever be used on stage. Why? No one really knows. But isn’t that what superstitions are all about, doing something strange for some unexplained reason? What’s something you’re superstitious about and why? A lover of all things theatrical, Regina lives on the Connecticut coast with her husband, teenaged daughter and two melodramatic cats. When she’s not writing, she’s most likely singing, reading, cooking or watching bad reality television. She’s a member of Romance Writers of America and treasurer of her local RWA chapter. Nick snuck a glance at Holly and frowned. Ethan, her self-appointed bodyguard, had once again glued himself to her side. They sat together, shoulders touching, heads bowed over a copy of the script. Jesus. The guy was like her freaking shadow. Nick wouldn’t be surprised to find out they went to the damn bathroom together. At first he thought maybe they were a couple, with their constant chatter, light touches and little laughs. That illusion had been blessedly blown to bits when Ethan’s boyfriend showed up to meet him after rehearsal. Still, Ethan needed to get accidentally locked in the prop room for a good half a day. Nick nodded, finally understanding. Of course Marisa would be worried. It was her plane that was grounded by a bomb threat in Toronto, where she was wrapping a film, making her miss the first read-through. Then half the crew got food poisoning from some bad sushi. And yesterday the power went out at Pearl, costing them half a day’s practice. But all shows hit rough waters, and Nick wasn’t about to let Marisa drown in them. These were hiccups, not the Titanic. “I guess so. Thanks, Mr.…Nick. Sorry.” She stood and stretched, showing a wide expanse of her flat stomach that, in another lifetime, one before Holly reappeared, would have had him itching to see more. Now he wasn’t interested. He ran a hand across his face, trying to erase the unfamiliar feeling. Regina has generously offered an e-book of Triple Threat to a lucky commenter! To be entered just answer her question in a comment: What’s something you’re superstitious about and why? Giveaway is open worldwide and ends on 13 October 2014!